That’s right! Alabama is 194 years old today! Sheesh, and I thought turning 30 was bad. By the way, still working on my Random Acts of Kindness, and as soon as I’m through with them, I’ll post a detailed list 🙂 But on with this post. Alabama is such an interesting state to grow up in. A wonderful mix of the old and the new, and a state that has been on the forefront of science and at the same time produced some of the great artists of our time as well as times gone by. I couldn’t imagine living anywhere else (well, I could name a couple places. . . Alaska, anyone? But let’s be honest, the first day of freezing temperatures and I’d be hightailing it back home. But that’s another story.). Photo courtesy of my mom. 1) If Alabama was a country, it would be larger in size than Greece (but only by about 1500 sq ft). The GDP would be equivalent to Nigeria, according to the World Bank in 2009. Population wise, we would rank closest to Norway. 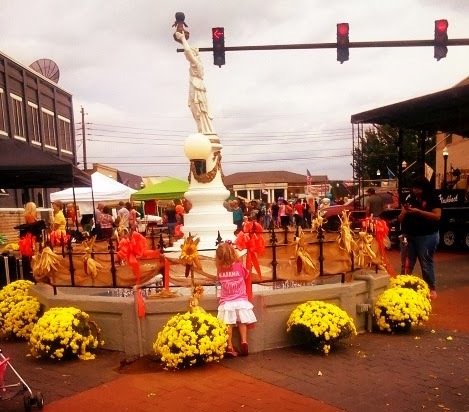 2) Enterprise, AL, which is incidentally the largest city in my county, is home to the only monument to an insect in the entire world, the Boll Weevil Monument. In the early 1900s, just like the saying, cotton was king in Alabama and farmers relied on it almost exclusively. The boll weevil is a cotton boll eating bug that migrated from South America to the south of America around 1915. It decimated whole cotton crops and forced farmers to look to other crops to plant, leading those farmers to discover how well peanuts grow here. My county alone, in the following year, led the world in the production of peanuts. In 1939, the very grateful farmers of this county erected the Boll Weevil Monument to show their gratitude to what they had once considered just a pest. 3) Alabama is home to four ‘moon trees’. These trees grew from seeds that accompanied astronaut Stuart Roosa on the Apollo 14 mission in 1971. One of those trees happens to reside at the Pioneer Museum of Alabama in nearby Troy, AL, which, by the way, carries our lotion bars. 4) The Alabama Constitution has 340,136 words and more than 800 amendments, making it 40 times longer than the US Constitution and the longest still-operative constitution in the world. 5) The first 911 call in the US was made in Haleyville, AL in 1968. 6) The first rocket to put humans on the moon was built in Huntsville, AL. 7) The Alabama coat of arms features a shield with the emblems of the five countries that have held sovereignty over the state. 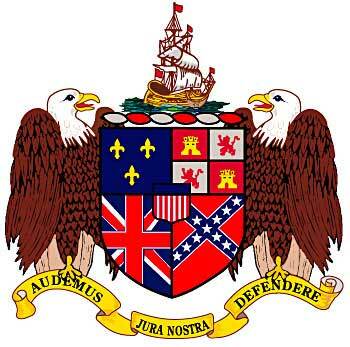 The emblems of Spain, France, Great Britain, and the Confederacy sit behind the center emblem of the US. It also features a ship that represents the Baldine (which set sail from France in 1699 on a mission to establish a colony near present-day Mobile). 8) In 1902, Dr. Leonidas Luther Hill performed the first successful surgery on a wounded heart in the western hemisphere. The surgery was performed in Montgomery, AL [a very interesting person, you can read more about the surgery and the surgeon here]. 9) Forget the California Gold Rush, Alabama Fever (contrary to its name, it’s not anything related to medicine, and it certainly isn’t what I’ve been suffering from the last few weeks) was the original land boom. Even before Alabama became the 22nd state on December 14, 1819, a massive influx of settlers and speculators began to lay claim to the rich, fertile land. So many arrived and so quickly, that during the period from 1810 to 1830 the state went from a population just under 10,000 to practically bursting at the seams with over 300,000 people.